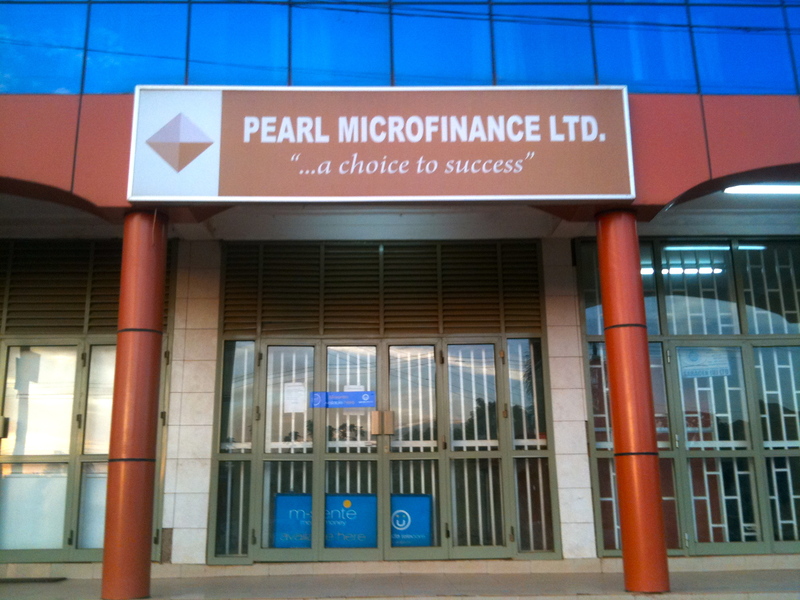 Pearl Microfinance Ltd. "...a choice to success"
I am beginning to feel as if I’m getting a handle on life as a mzungu (foreigner) in my second week as a Kiva Fellow in Kampala. Despite my luggage being lost and having to wear my clothes inside out my first full day in the country, I was excited to start work at Pearl Microfinance Limited. Pearl has been a Kiva partner for almost four years, and does wonderful work with more than 16,000 borrowers throughout Uganda. In fact, Pearl is Kiva’s Partner of the Month for June! No surprise here as Pearl’s staff is a committed and hardworking bunch, and I am very honored to be part of the team. My first day at work started off as I envisioned, and included many warm introductions and to-do lists. When lunch time rolled around, I was treated to my first Ugandan meal of fish in groundnut stew, matooke (mashed bananas similar to plantains), and greens. The food was delicious and the portions monstrous. It quickly dawned on me that intense food comas and weight gain would be in my future if I did not take all necessary precautions. As my first day of work as a Kiva Fellow was coming to an end, I suddenly heard a loud commotion coming from the street. Extremely curious, I joined several of my colleagues at the window (probably not recommended) and saw that the street right outside of Pearl was completely filled with people shouting and yelling. I wasn’t sure if there was an accident or a mutiny, but my colleagues informed me that people were protesting rising fuel and food prices. Note: Fuel prices have risen more than 50% in the past few months. I asked if protests happened often and in this location, and to my delight I was told yes, this does happen often! In fact many of the government protests over the recent February elections took place in this very location. Apparently many “idle” people frequent this area of Kampala, which brews the perfect opportunity for voicing discontent over government politics and policy. I found myself captivated by this turn of events, but obliged when my responsible Kiva Coordinator named Grace requested that I leave the area before things got worse. What, banish an innocent Kiva Fellow to the rioutous street you ask? Rest assured readers. Both Grace and another dedicated Pearl employee named Richard ensured that I secured a safe and fairly priced boda boda ride, think motorcycle, back to my guesthouse. 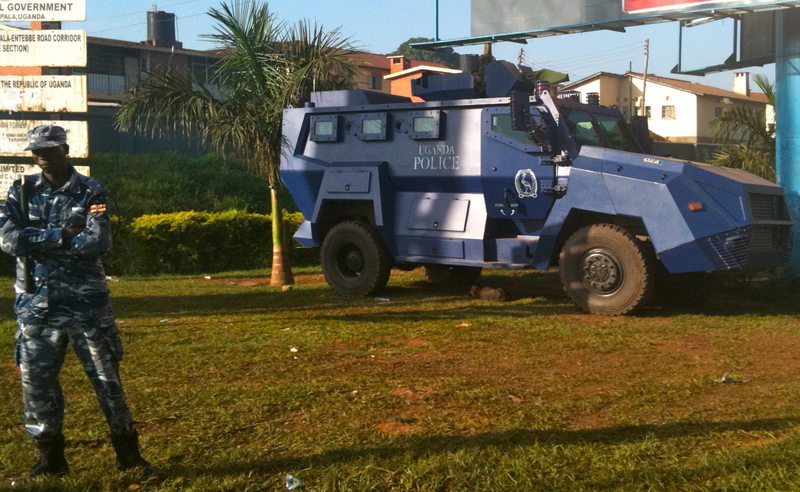 As I sped away from the commotion, I saw large blue tanks holding the Ugandan police traveling in the opposite direction. One would think that as an expat living in Uganda for the first time, make that an expat living and setting foot in Africa for the first time, I would have some trepidation reporting to my second day of work given the circumstances. Despite being utterly exhausted I looked forward to day two at Pearl. I went to work refreshed after a good night sleep and Tuesday started off similarly to Monday. At lunch over another plate of matooke and too many starches to name, I asked Grace if the protests affected the businesses of Pearl’s borrowers. As it turns out, many borrowers with businesses in the area found themselves needing to close shop temporarily due to the instability. This naturally affected borrower’s cash flows and abilities to make timely loan repayments. I reflected on this and added political and economic instability to my mental checklist of why interest rates at MFI’s are higher than some would like. Other items on my mental checklist include transportation costs to obscure field locations, mother nature, and the lack of collateral (to name a few). My week at Pearl continued with more memorable experiences. One of my favorites was being stuck in a torrential rainstorm enroute to a borrower meeting outside of Kampala with my Field Support Specialist, his Field Support Manager, and a Pearl credit officer. The journey from Pearl went something like this: shared taxi ride to taxi park, traffic, second shared taxi, more traffic, torrential downpour, 30 minute wait under awning of a hair salon in the village, and alas – borrower meeting! If visiting borrowers in Kampala can have this many obstacles, how many more will I face when I trek to rural Uganda? Stay tuned. In short, my first week as a Kiva Fellow was filled with much excitement, learning, weight gain, understanding, and appreciation. Nothing quite caps off a good first week as a second commotion from the street however. This time the noise wasn’t due to rising fuel prices. When I asked what the commotion was about a colleague responded, “don’t worry, they are just killing a thief!”. I think my time here will be quite an adventure. 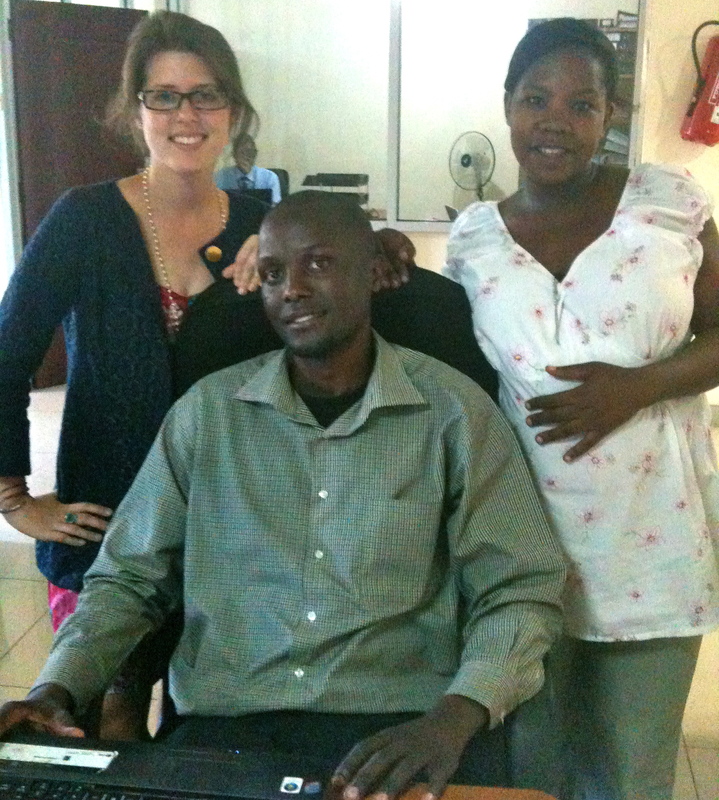 Michele Wehle is a Kiva Fellow working in Kampala, Uganda with Pearl Microfinance Limited and BRAC Uganda. Want to help Pearl Microfinance and BRAC Uganda reach more borrowers? Become a member of their lending teams here: Friends of Pearl Microfinance Limited and Friends of BRAC Uganda. Entry filed under: KF15 (Kiva Fellows 15th Class), PEARL Microfinance, Uganda. Tags: Kiva Fellows, microfinance, Uganda. Thanks so much for this detailed and engaging post. It’s wonderful to be able to read about your experiences. Wow…what a story! You are so brave! I love to travel to all sorts of places but would have been very intimidated to see the tanks rolling in. Keep up the much needed work! I love reading the KIVA posts! great post! jealous of all your matooke!